Its a massacre! Kick out they ambassadors! and lovely, lovely mark gonzales along with the other fabulous rappers from human writes project–nizar wattad and omar chakaki–did a benefit show for gaza the other day in my hometown los angeles. they called it “get down for gaza” and all of them emanated sheer brilliance. Israel is preventing the Western-backed Palestinian Authority from transferring cash to the Gaza Strip to pay its workers and others hard-hit by war, Western and Palestinian officials said on Wednesday. The restrictions threatened to undercut the ability of President Mahmoud Abbas’ West Bank-based government to reassert a presence in the Hamas-ruled territory after Israel’s 22-day offensive, said the officials, who asked not to be identified. Today the Stockholm community council in Sweden announced that the French company Veolia who has been the current operator at the Subway’s in Stockholm County for 10 years lost the contract to the MTR-cooperation. The contracts for the coming 8 years is worth 3,5 Billion EURO and has been the biggest ongoing public contract procurement process in Europe. Although the board for county’s public transportation ensured the decision was based on commercial factors the debate about Veolias involvement in a controversial tramway project in Jerusalem (Jerusalem light railway) has been intense in Swedish media. The tramway connecting the Israeli west Jerusalem with illegal Israeli settlements on occupied Palestinian territory has triggered discussions about Veolia’s ethical policy. Public protests against Veolia has brought the attention to the dilemma of operating public services when you at he same time are involved in politically controversial activities. As late as the day before the decision the community council received lists with thousands of signatories from people demanding the county council to choose an operator who should not be associated with violations of international humanitarian law. – This is clearly another sign of the importance for commercial actors not to have their brand associated to unethical behaviour, in the case of illegal settlements on occupied Palestinian territory we can already see a trend of international companies who are moving out their operations from settlements, says Joakim Wohlfeil, at the Swedish development organization Diakonia. Anonymous self-described Israeli human rights activists have set up an Internet site detailing alleged war crimes committed by senior government officials and Israel Defense Forces officers. No known human rights organization is behind the site, whose founders refuse to give their names. The site, www.wanted.org.il, includes “arrest orders,” complete with pictures and personal details, for Defense Minister Ehud Barak, Prime Minister Ehud Olmert, Foreign Minister Tzipi Livni, Deputy Defense Minister Matan Vilnai, Public Security Minister Avi Dichter, National Infrastructure Minister Benjamin Ben-Eliezer, IDF Chief of Staff Gabi Ashkenazi and his two predecessors, Dan Halutz and Moshe Ya’alon, former air force commander Eliezer Shkedy and others. It also explains how to inform the International Criminal Court in The Hague of when the “suspects” are outside Israel, and hence vulnerable to arrest. Students at King’s College London are staging a sit-in protest on campus over the treatment of Palestinians in Gaza and the honorary doctorate bestowed on the Israeli president, Shimon Peres. In the latest of a flurry of occupations at English universities in response to Israel’s actions in Gaza, more than 100 students took over a lecture theatre in the university yesterday. Kings students are demanding that the university issue a formal statement condemning Israel’s bombing of Gaza and revoke the honorary doctorate Peres was awarded in November last year. 1. 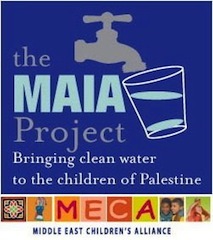 Warwick University should suspend all relations with companies which supply the Palestinian-Israeli conflict. This includes BAE Systems, MBDA, QinetiQ and Rolls Royce. 2. That the University donate old computer equipment and textbooks to universities in Palestine, specifically those that were partially destroyed in Gaza during the current Israeli military operation. 3. That the University fund and provide logistical support for a series of talks on the Israeli-Palestinian conflict. 4. That there be no legal, financial, or academic measures taken against anyone involved in or supporting the sit-in. This extends to the Student’s Union. Students involved should be guaranteed free movement in and out of the space. More than 80 students on Thursday took over one of Oxford University’s buildings to demand the university releases a statement condemning Israel’s recent offensive against Hamas in Gaza. “Palestinians have the same rights as we do, including the right to education as enshrined in the United Nations Universal Declaration on Human Rights,” a spokesperson said. Israeli foreign minister Tzipi Livni nearly cancelled a planned trip to Belgium over concerns that the Israeli leader could face legal actions for war crimes. After months of planning and promoting, NYU has announced that it will delay the opening of its Tel Aviv study abroad site due to enrollment difficulties following military strife in the area. The program, which was slated to launch this month, will not host students until September 2009. “Because of the conflict in Gaza and Israel and a consequent decline in enrollment that would compromise the quality of our program and its cocurricular offerings, the university chose to delay the opening of its NYU in Tel Aviv study abroad program,” university spokesman John Beckman said. The major argument here is two-fold, namely that while Israel has the right to defend itself, its victims have no similar right to defend themselves. In fact, the logic is even more sinister than this and can be elucidated as follows: Israel has the right to oppress the Palestinians and does so to defend itself, but were the Palestinians to defend themselves against Israel’s oppression, which they do not have a right to do, Israel will then have the right to defend itself against their illegitimate defense of themselves against its legitimate oppression of them, which it carries out anyway in order to defend itself legitimately. It would have helped if Obama had the courage to talk about what everyone in the Middle East was talking about. No, it wasn’t the US withdrawal from Iraq. They knew about that. They expected the beginning of the end of Guantanamo and the probable appointment of George Mitchell as a Middle East envoy was the least that was expected. Of course, Obama did refer to “slaughtered innocents”, but these were not quite the “slaughtered innocents” the Arabs had in mind. There was the phone call yesterday to Mahmoud Abbas. Maybe Obama thinks he’s the leader of the Palestinians, but as every Arab knows, except perhaps Mr Abbas, he is the leader of a ghost government, a near-corpse only kept alive with the blood transfusion of international support and the “full partnership” Obama has apparently offered him, whatever “full” means. And it was no surprise to anyone that Obama also made the obligatory call to the Israelis. The worrying part about whether the ceasefire in Gaza can hold together will be whether the international community can stop the flow of arms to the terrorists. Because Israel’s getting their planes and tanks and missiles from somewhere and until this supply is cut off there’s every chance it could start up again. The disregard for life from these terrorists and their supporters is shocking. For example Thomas Friedman, the New York Times columnist, wrote that the purpose of the Israeli attack must be to “inflict a heavy death toll and heavy pain on the Gaza population”. Replace “Gaza” with “western”, and that could have been written by al-Qa’ida. Maybe this is the problem: the Israelis are writing their policies by downloading statements from an Islamic Jihad website and just changing the place names. Also, if the Israelis think the Hamas rockets are as lethal as they say, why don’t they swap their F-16 fighters and Apache helicopters for a few of them? there are so many reasons why one must keep up this pressure. the “war” on gaza may be over, but the root of the problem is not. obama’s new appointment to the region, george mitchell, will bring more of the same. in a speech he just delivered he wants the same old 2-state solution that will continue the basically 4 state reality of palestinians in gaza, the west bank, 1948 palestine, and refugees in the region and around the world. this is unacceptable. Israel’s navy shelled the Gaza Strip on Thursday morning, injuring seven Palestinians, including five fishermen. Mu’awiyah Hassanain, the director of Ambulance and Emergency Services in the Palestinian Health Ministry told Ma’an that Israeli gunboats shelled the As-Sudaniya area northwest of Gaza City. He said the wounded people were taken to Ash-Shifa Hospital in Gaza City. Hassanain added that rescue teams are still working to recover the corpses, many of them now decomposing, of those killed in Israel’s three-week war on Gaza. Separately, two Palestinians died in Egyptian hospitals where they were treated for wounds from Israel’s three-week offensive. Medical officials identified them as: Tamer Omar Al-Louh, 22, from Gaza city and Azzam Mu’awad Ash-Shafe’y, 24, from Rafah. The death toll from the war is now 1,330, with more than 5,000 injured. For 22 long days and dark nights, Palestinians in Gaza were left alone to face one of the strongest armies in the world — an army that has hundreds of nuclear warheads, thousands of trigger-happy soldiers armed with Merkava tanks, F-16s, Apache helicopters, naval gunships and phosphorous bombs. Twenty-two sleepless nights, 528 hours of constant shelling and shooting, every single minute expecting to be the next victim. The official Arab position vis-a-vis the Palestinians since 1948, with the exception of the progressive nationalist era (1954-1970) has been a lethal cocktail of cowardice and hypocrisy. Their latest collective failure to break the two-year old Israeli siege of the Gaza Strip and their lack of action to support Palestinians under brutal military assault must be questioned. Arabs must demand answers from the spineless Arab League because there was no brotherly solidarity shown to Gazans during the Israeli assault. There was no pan-Arabism evident in their platitudes. Some, shockingly, even found it an appropriate time to blame Palestinians for the situation they found themselves in, instead of demanding that Israel stop its merciless assault. In Gaza today, we wonder how the expressions of support for us in the streets of Arab capitals can be translated into action in the absence of democracy. We wonder whether Arab citizens of despotic regimes can nonviolently change the system. We torment ourselves with trying to discern the means that are currently available for democratic political change. With the ongoing massacre in Gaza, and the construction of an apartheid system in Palestine (in all of historic Palestine, including the areas occupied by Israel in 1967), we know that to survive, we must have the support and solidarity of our Arab brothers and sisters. We saw the Arab people rise to that challenge and stand by us for 22 days but we did not see their leaders behind them. Archbishop Desmund Tutu of South Africa said, “If you are neutral in situations of injustice, you have chosen the side of the oppressor.” The UN, EU, Arab League and the international community by and large have remained silent in the face of atrocities committed by Apartheid Israel. They are therefore on the side of Israel. Hundreds of dead corpses of children and women have failed to convince them to act. This is what every Palestinian knows today — whether on the streets of the Gaza Strip, the West Bank or refugee camps in the Diaspora. We are, therefore, left with one option; an option that does not wait for the United Nations Security Council, Arab Summits, or Organization of Islamic Conference to convene: the option of people’s power. This remains the only power capable of counteracting the massive power imbalance in the Israeli-Palestinian conflict. Similarly, the Palestinian call for boycott, divestment and sanctions has been gathering momentum since 2005. Gaza 2009, like Sharpeville 1960, cannot be ignored: it demands a response from all who believe in a common humanity. 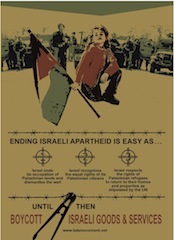 Now is the time to boycott the apartheid Israeli state, to divest and to impose sanctions against it. This is the only way to ensure the creation of a secular, democratic state for all in historic Palestine. eid’s words are the only way out: the people’s option. and the people’s option, unlike the “white man’s” option (aka the west) is liberation of palestine through various modes of resistance, including boycott divestment and sanctions. 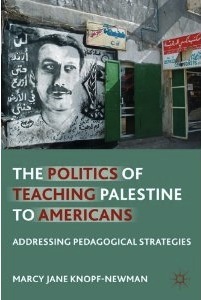 fortunately there is now a campaign for american academics to lend their support to this method of resistance. 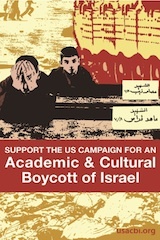 our call is now published on electronic intifada and you may visit our website as well. there is an email address for you to endorse the call. yes this is great. i’ve blogged it several times over the past few years. thanks for reminding me. Body on the Line by Marcy Newman is licensed under a Creative Commons Attribution-No Derivative Works 3.0 United States License.Based on a work at bodyontheline.wordpress.com.